Which Certification Path Is For Me? Certifications in the IT industry are important and can really help you get a job or improve the way you do your current role. There are so many certifications, it can be hard to keep up. This is especially true if you’re new to the IT industry or certifications – trying to decide which certifications to get and which certification path is for me. Read on to find out more. The good thing about IT certifications is that it’s not that difficult to get certifications from various providers. Just because you start with a certification from one provider, it doesn’t mean you’re stuck with that provider. Sure, some of the more advanced certifications require an earlier certification from that provider, but many of them simply have experience requirements. Another reason that there is a good choice of certifications in the IT industry is that there are several certifications for a particular technology. You’re not locked in to one certification if you’re a software developer. Network engineers have various certifications they can pursue, just like information security experts, database administrators and support staff. For these reasons, I think there is a wide choice of which certification paths you can take, for whatever role in the IT industry you’re in. Should I Stay With One Provider’s Certification Paths? There are many providers of certifications in the IT industry, so it can be hard to work out which certification path to take. CompTIA, Microsoft and Cisco are some of the big players in this area. They each offer many certifications that appeal to all kinds of IT professionals. They also let you follow the certification path that they set and recommend. For example, Microsoft’s recommended certification path involves an MCTS, an MCITP, and possibly and MCM. This may have changed with the recent introduction of the MCSE and other certifications, but generally there is a hierarchy and path for Microsoft technologies. Alternatively, Cisco offers a similar certification path, which starts with the CCENT, then the CCNA, CCNP, and possibly the CCIE. Of course, there are more than just these three or four certifications for each provider. Each of them have their own technology specialties – which means, even if you’d like to stay with the one provider for certifications, you have quite a choice. There are many technologies that Microsoft provide certification for, as well as Cisco. More specialised companies also offer a certification path and range of certifications. Oracle and Red Hat both offer certifications valuable for database and Linux professionals respectively. A common certification path for people in the IT industry is getting certifications from different providers. This is possible and is in some cases recommended by those who have the certifications. 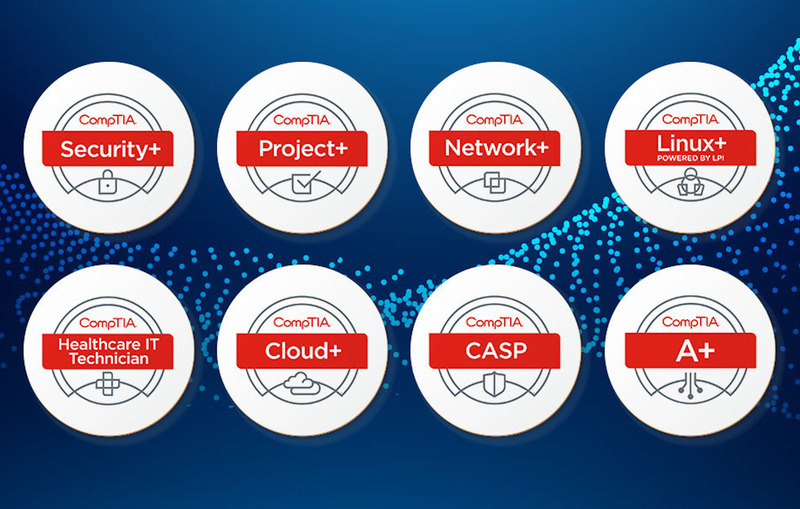 For example, a common certification path for those in the networking field is to obtain the A+ and Network+ certifications from CompTIA, then obtain the CCNA from Cisco. This combination works well together and is a great way to start a career in networking. It’s not always possible, though. Many of the higher-level certifications require a certification before them to be obtained. Many of the MCITP certifications from Microsoft require an MCTS. The CCIE certifications usually require a CCNP. Don’t let this deter you though – getting certifications from multiple providers is a good way to enhance your knowledge on a subject and improve the way you do a job in that field. This could be an option when considering which certification path to take. Different roles in the industry have different providers. You could be looking to get an ITIL certification as you work in service management, or a BABOK certification as you’re a BA. Project managers often go towards the PMP or other project management certificaitons. Which field of IT are you in, or which field would you like to get into? This will determine, or at least narrow down, your choices of certifications and the resulting path. What is your level of experience? Some certifications are targeted towards new starters, others are targeted towards experts – with many in between. How far do you wish to go with getting certified? Some IT professionals wish to get all of the certifications they can, and which could be as many as 20. Others are content with only one or two. This will determine which path you wish to take. Answering these questions about yourself and your IT career will help to understand which certification path is for you.